Hollaender Manufacturing has introduced the new Interna-Rail® KLEAR glass railing system. The new railing system gives architects and contractors a proven and attractive option where transparent design features are required. The modular system is simple to install, maximizes visibility, and is significantly more cost effective than stainless steel systems. Hollaender Manufacturing has introduced the new Interna-Rail® KLEAR glass railing system. This handrail is constructed using Hollaender’s aluminum Interna-Rail® handrail with 3/8” thick glass infill panels up to 42” in height. The new railing system gives architects and contractors a proven and attractive option where transparent design features are required. The modular system is simple to install, maximizes visibility, and is significantly more cost effective than stainless steel systems. The KLEAR railing system does not require a top cap on the glass, and the glass infill panels do not require holes to be drilled for fitting. This reduces the overall cost per foot when compared to alternative railing systems. 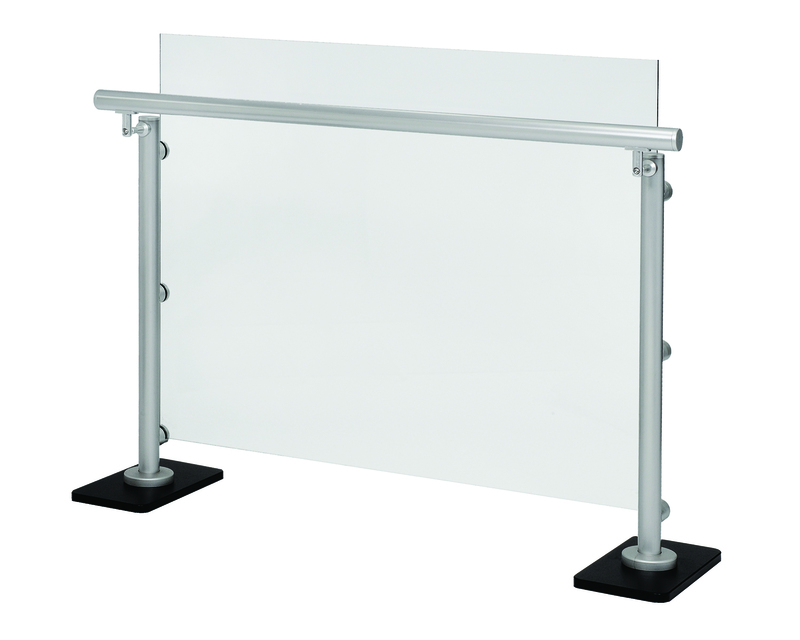 Posts are attached with a grabrail or handrail at 36” above the walking surface on level, ramp, and stair railings. Hollaender’s Interna-Rail® handrail system is an in-line fitting based system designed to combine the clean look of welded rail with all the benefits of a mechanical system. Interna-Rail® systems can be designed to meet any building code and are tested to some of the highest industry standards. The durable properties of anodized aluminum, ease of the in-line fitting installation, and variety of designs have resulted in Interna-Rail® systems being used throughout the world in architectural, public works, and stadium applications.